Elderly patients with major depressive disorder (MDD) who score well on a test that measures the ability to shift attention between tasks may be more likely to respond to augmentation with aripiprazole after failing to respond to first-line therapy with venlafaxine, according to a study published yesterday in JAMA Psychiatry. The findings suggest standardized neuropsychological tests of this cognitive process could one day help to guide therapeutic decisions. Over half of older adults with MDD do not adequately respond to first-line pharmacotherapy with selective serotonin reuptake inhibitors or selective serotonin-norepinephrine reuptake inhibitors. In September 2015, Charles Reynolds III, M.D., a professor of geriatric psychiatry at the University of Pittsburgh, and colleagues published findings that showed that adding aripiprazole to the treatment regimen of patients aged 60 and older whose major depression had failed to remit after 12 weeks of venlafaxine monotherapy helped more patients achieve remission than those who did not take the combination of medications. Prior to starting the 12 weeks of venlafaxine extended-release treatment, study participants were given a series of neuropsychological tests, including the Color-Word Interference task, which measures response inhibition, and the Trail Making Test tasks, which measures set-shifting (the ability to shift attention from one task to another). 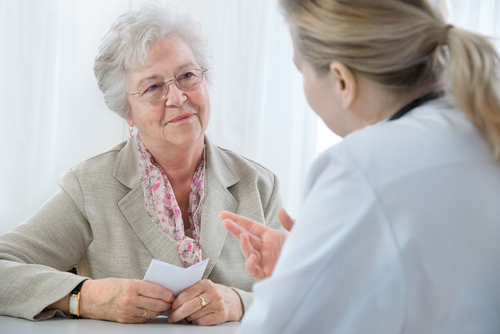 Researchers also used the Brief Symptom Inventory and Cumulative Illness Rating Scale for Geriatrics to assess comorbid anxiety and medical burden, respectively. Of the 181 trial participants whose major depression had failed to remit with venlafaxine hydrochloride monotherapy (150 mg/day to 300 mg/day for 12 weeks), 91 received aripiprazole (target dose 10 mg/day), and 90 received placebo. Remission occurred in 40 (43%) who received aripiprazole and 26 (29%) who received placebo. Set-shifting performance was found to moderate the effectiveness of aripiprazole augmentation; among participants with a Trail Making Test scaled score of 7 or higher, the odds of remission were significantly higher with aripiprazole than with placebo (53% vs 28%). Among participants with a Trail Making Test scaled score of less than 7, aripiprazole and placebo were equally efficacious. Greater severity of anxiety at baseline predicted a lower remission rate but did not moderate aripiprazole efficacy; each standard deviation greater anxiety severity was associated with 50% reduced odds of remission in both aripiprazole and placebo arms. Neither medical morbidity nor response inhibition was related to remission. In a related editorial, Warren Taylor, M.D., an associate professor of psychiatry at Vanderbilt University Medical Center, offered several reflections on the implications of the findings for clinical treatment and clinical trial methodology.